I’m in the middle of repairing an antique table. There’s nothing really broken, but most of the joints are loose. So I’m carefully prying apart the old doweled joints and removing the old glue, then reassembling the joint with Titebond wood glue. As is the case with most old furniture, someone had used copious amounts of glue in an attempt to fix the loose joinery. 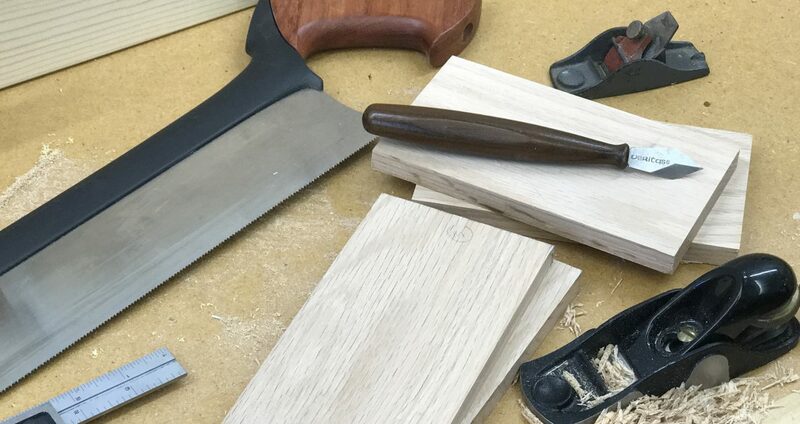 To remove the glue, I carefully pare the joint down to bare wood with a sharp chisel or block plane. Some would argue that doing so dulls the blade, but nothing a quick touch-up won’t fix. To repair the dowel joints, I’ll just clean the glue off the dowels as much as possible if they’re still solid. On this particular table, it’s a pedestal style with four legs attached to a center, turned column. The original ½”-dia. dowels had been drilled out and replaced with ⅜”-dia. fluted dowels at some point. They were in poor condition, so I cut them off flush with the joint. I’m not a fan of dowel joinery, so I set up my router table with a ½”-dia. spiral upcut bit. I routed a long mortise between the two dowel locations on each mating piece. Then I formed loose tenons using ½” Baltic birch plywood and reassembled the joint. But here’s where you have to pay attention. On this table, the curved legs were each capped with a gothic-style cap piece. But I had failed to follow one of my own rules. I didn’t mark how each piece was oriented. After the glue set up, I noticed one of the pieces was turned 180°. Fortunately, the piece was symmetrical, so visually, it didn’t make a difference. But it could have been a disaster, or at least a big problem. So the lesson here is this: Whether you’re repairing old furniture or dry-assembling a new project to test for fit, make sure to mark the pieces. Mark the joinery and the orientation of each workpiece. You’ll be thankful later when the glue and clamps go on. Posted on April 9, 2010 January 5, 2015 by Randy MaxeyPosted in Furniture, WoodworkingTagged Furniture, Repair.